The same man who wrote The First Time Ever I Saw Your Face wrote The Ballad of Ho Chi Minh and the same woman who loved this man cheated on him with a woman; if you’re looking for revelations from this new biography—Peggy Seeger: A Life of Music, Love and Politics—that’s a good place to start. There are enough of them to qualify this as a folk thriller, with Ewan MacColl and Peggy Seeger as its unlikely heroes. As I write this, on May 19, I was looking for a song to sing later this evening at a cultural event celebrating Ho’s birthday—I put Ballad of Ho Chi Minh in the search engine, and who should come up but Peggy’s husband and co-founder of the British Folk Revival. It brought a smile to my face to recall the days when Ewan could shock the comparatively tame protest singers in the US—right up to and including Ewan’s brother-in-law Pete Seeger, who would never have written a song in praise of “Uncle Ho,” even though he wrote his share of antiwar protest songs. Protesting against the war is one thing—praising the enemy and its folk hero leader is quite another. Ewan MacColl went where no American singers dared to tread. Peggy was his soul-mate, and every bit his equal. For someone who has made over 120 records in her career, it must be difficult to assess the most important song, or album to highlight amongst them all. But it is not at all difficult—the most important song is not one she wrote, or recorded; it’s the one she inspired her future husband Ewan MacColl to write. That would be The First Time Ever I Saw Your Face. More important than all her albums put together as a singer of traditional and contemporary songs (she abjures the label “folk singer”), in short as an artist, is the single classic for which she was MacColl’s muse. And thereby hangs a tale, but you won’t find it in this finely-tuned but occasionally-rankling narrative. 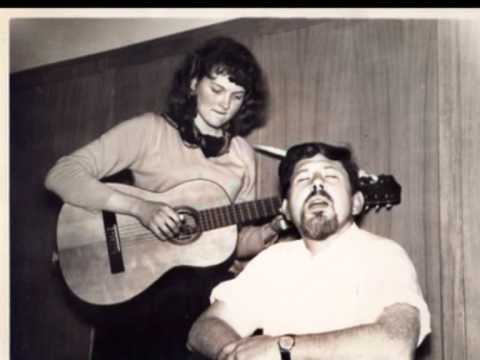 As recounted in Peggy Seeger: A Life of Music, Love and Politics, by Jean R. Freedman, Peggy told Ewan that she had “an upcoming gig” and needed a short love song for it, for which he rose to the occasion and wrote this three verse masterpiece. The problem with this tale, is that it wasn’t an “upcoming gig” for which the requirement of “a short love song” makes no sense; to my recollection, the setup for this story is not an upcoming gig—rather she was almost finished with recording an album, and there was just enough room left for “a short love song.” Did Ewan know one—knowing that many of his songs were long traditional ballads that would be unusable for the album she needed it for. It would not have affected “an upcoming gig” one way or the other. But an album had actual time constraints—of roughly 32 minutes, or 16 to a side. As Robert Frost once described the necessity of a rhyme scheme in poetry—which otherwise would be like “playing tennis without a net.” That is what makes this such a good and memorable story, and why I tell it every time I sing the song. 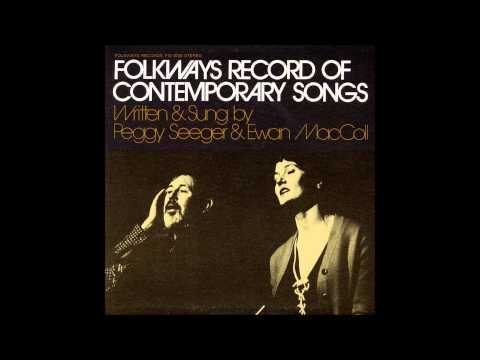 This song, by way of Ewan MacColl, is Peggy Seeger’s gift to the world—one of the great love songs of the 20th Century. And yet of all the great revelations divulged in this wonderful biography my favorite is one of purely personal interest—and of interest to FolkWorks’ readership who grew up in the annual inspiration of the “Dulcimer Festival,” “The Summer Solstice Festival of Music, Dance and Storytelling” sponsored by the California Traditional Music Society (CTMS) founded by Elaine and Clark Weissman. Elaine, as we all recall with vivid pleasure, was at times larger than life—whose far-reaching personality held that festival together for as long as she lived—acquiring city grants and beyond to somehow continue to operate on their shoestring budget year-in and year-out—the most successful teaching festival in the country. Elaine and Clark then founded NAFMA—right here in Malibu—the North American Folk Music Association, still thriving today as Folk Alliance International. Clark often seemed to work behind the scenes, managing the festival’s finances while Elaine became its public face. But Clark was actually the musician in the family, and far more than an amateur. 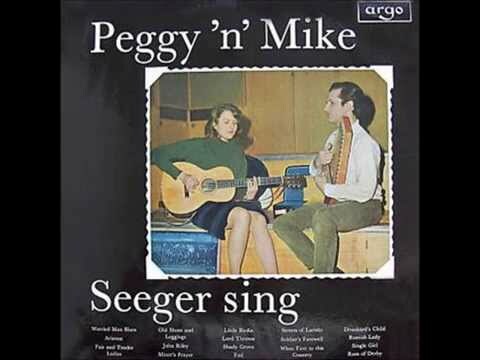 The major revelation in this biography of Peggy Seeger—to a Los Angeles folk singer at any rate—is the fact that Clark Weissman helped her make her first record; he is the guitarist on this rare 10-inch Folkways album—the same format that featured Woody Guthrie, Lead Belly and Pete Seeger—entitled Folk Songs of Courting and Complaint, Folkways Records FA 2059—1955 (Peggy Seeger accompanied by Clark Weissman on Guitar)—the album that launched her recording career—the face, as it were, that launched a thousand ships. Peggy and Clark were born in the same year, 1935, and attended Radcliff and MIT in the mid-fifties, where they met. Clark was there right at the beginning; no surprise therefore that he and Elaine would later go on to co-found CTMS. On the eve of the 57th annual Topanga Banjo-Fiddle Contest & Folk Festival therefore, it is with pleasure I note that Elaine and Clark won their Music Legend Award for 2004 at their annual celebration of the best in the west in folk music. Everyone knows why Elaine won it, but how many know that Clark Weissman helped put Peggy Seeger on the map in American folk music—from Cambridge, Massachusetts—and made Los Angeles the center of a folk festival that distinguished itself from all the rest of the nonstop performances that defined the usual festival by turning it into an educational workshop experience as well, with required handouts and serious preparation from all presenters who were a part of it. A CTMS festival organized by Elaine and Clark was tantamount to a university seminar in folk music style, performing art and history of the times that became the soundtrack of America—from cowboy and railroad songs, labor songs, sea shanties, old-time music, protest songs, environmental and civil rights anthems and antiwar songs—presented by masters of the art form like the late Jean Ritchie and Sam Hinton. Elaine and Clark made a permanent mark on Southern California’s folk music legacy. Clark, like Peggy, is now 82—he is indeed a music legend; having lived a life of on-going artistic accomplishment—from California to the New York Island—and beyond. The last time I saw Peggy was in concert with her brother Mike and Pete—a very rare joint appearance orchestrated by Dot Harris at the Barn Folk Music Club at the University of California at Riverside. They were hardly ever seen together in concert, but Dot was determined to put a once-in-a-lifetime concert on and she did—I am still moved by the memory of hearing them perform Worried Man Blues just the way Mother Maybelle Carter sang it—swapping the original verses from Peggy on the left side of the stage to Pete in the middle and Mike on the right—America’s First Family of folk music then and now. The Kingston Trio managed to ruin the song by turning a chain gang song into a modern love song with images of a sought after Cadillac replacing “shackles on my feet”—and then claiming that they wrote it, without mentioning that they re-wrote it for no other reason than to collect songwriter royalties on a traditional song. Peggy, Michael and Pete always remained true to the tradition—and carried it on to the next generation. Only it was Peggy, Pretty Peggy-O, from the traditional song Fennario which both Bob Dylan and Joan Baez recorded long ago. It’s a song I have always loved; which always makes me think of Peggy Seeger. Read this book; if you love folk music you will want to own it and be reminded of your own favorite stories. These are some of mine. 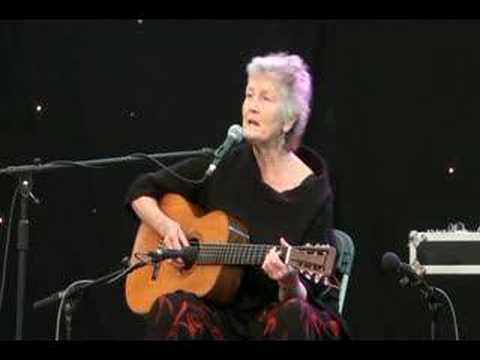 But in addition to old favorites you will learn everything you wanted to know about Peggy Seeger, but were afraid to ask. In the great tradition of the Life of Samuel Johnson, Jean R. Freedman’s thoroughly researched book is the definitive biography—a masterpiece.